Welcome to Dan Spence Refrigeration Ltd Website! Dan Spence & Staff take safety very seriously. Please feel free to explore our safety page. Emergency Numbers can be downloaded by clicking here. File has been virus scanned. Interested in obtaining training for your business for COR from NLCSA? 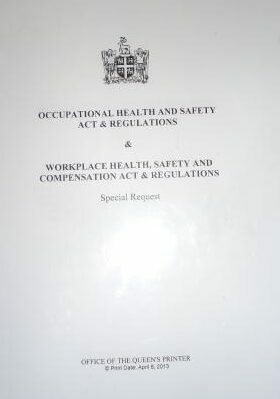 Interested in obtaining a certificate, diploma or CRSP prep in Occupational Health & Safety? 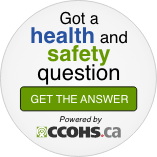 To see information on CCOHS & Workplace NL, please click on the image provided. It takes a minute to write a safety rule. It takes an hour to hold a safety meeting. It takes a week to plan a good safety program. It takes a month to put that program into operation. It takes a year to win a safety award. It takes a lifetime to make a safe worker. But it takes only a second to destroy it all - with one accident. Take the time now to work safe and help your fellow employees to be safe.